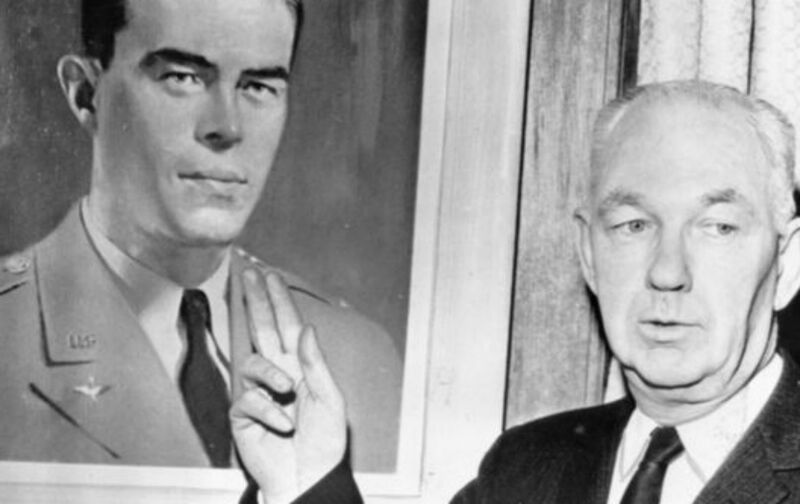 The Nation published one of the first articles in the national press about the John Birch Society, the far-right society of nostalgic paranoiacs founded on this day in 1958 to fight a communist movement they accused of wielding untold power over the American government (but which, at that time, had in fact never been further from doing so.) It was written by Hans Engh, a staff writer for the Santa Barbara News-Press, the paper for which he had written a groundbreaking series on the John Birch Society two months earlier. The cries of the “pseudo-conservative revolt,” a movement that Richard Hofstadter, eminent Columbia University historian, believed had passed its peak of influence in 1955, once again are heard across the land. The society was formed in December, 1958, with Welch, a retired candy manufacturer from Belmont, Mass., standing before eleven Americans gathered at his invitation in Indianapolis, Ind., informing them that they were taking part in the beginning of a movement of historical importance. In certain communities the Birchians have been able to whip up a good deal of unrest and suspicion. Persons are labeled Communist at the drop of a hat, and semi-secret meetings create an aura of fear and hate. Fortunately, even in these communities there are still enough reasonable people around who bring a measure of balance to the situation. It may be that the Birch group will live a hectic but short life. Together with other “know nothing” organizations scattered through the country, it represents a basic, continuing phenomenon in American society: that regressive force which, under one guise or another, seems to pop up whenever the country as a whole seems destined to move into a more progressive era.